Every country looks out for itself first. That's why we played a role in overthrowing a democratically elected president in Chile, and attacked a sovereign nation 7 years ago while saying we're the perfect picture of democracy. Not saying that it's right--it's just how it goes. Look, Mexico has a solid plan. Mexico is not what most people are led to believe. Mexico's politics are controlled by the European/Spanish elites. Mexican politics are aimed to rid itself of the non-Europeans living in Mexico. The Mexicans that are coming to America are the poor indigenous populations of Mexico. And the Mexicans want them to leave. They help them sneak into American, they put up signs telling them where to go. And they certainly don't want the indigenous/black populations of central America streaming into Mexico. 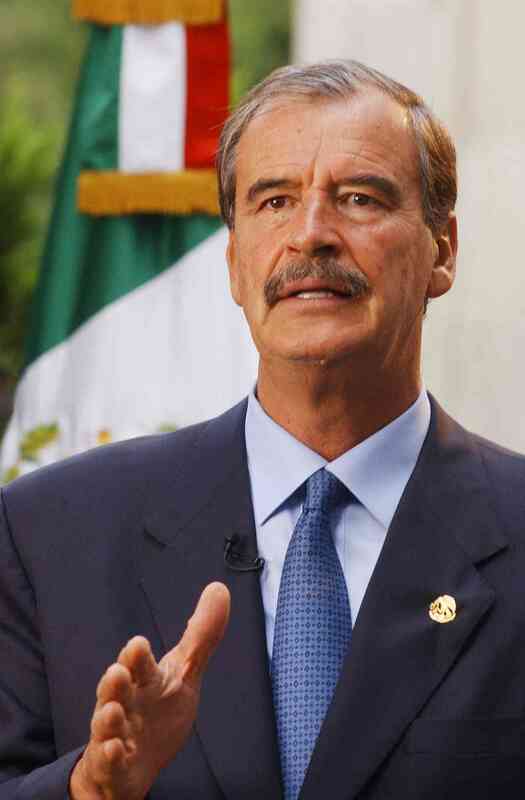 If you look at Mexican presidents, more recently you have Vincente Fox. Who has some German grandparents, mixed with some Spanish Castilian. The truth is, Mexico is far more racist than we are, and is getting worse. The white elites are rich. The richest man in the world is from Mexico, Carlos Slim Helu. And he isn't even Mexican, he is actually 100% Lebanese. If this is actually a shock to anyone, then you are in denial. Too bad they won't build a wall on their northern border. Absolutely! Mexico has sent its rejects to this country, and has brainwashed them to believe we “owe” them a better life. Some question why these “hard-workers” can’t improve their own country. The answer is simple. . . . they are the bottom of the barrel, and therefore, have nothing to offer Mexico. If they’re useless to their own country, why on earth would anyone believe they would be an asset here? It would be tantamount to the U.S. illegally dumping millions of prisoners, gang members, drug dealers, and other scofflaws on the citizens of Canada. And, let’s not forget the generational welfare parasites. Only, this could NEVER happen, because no other country would require its taxpayers to support our rejects. They certainly wouldn’t demonize and vilify citizens for opposing such an intrusion. Mexico has rid itself of at least 10% of its population, but they won’t accomplish their goals until EVERY Mexican peasant is living off the taxpayers of this country. It’s a win-win for Mexico. They don’t have to deal with their despised demographic, while they continue to benefit from the BILLIONS in remittances they faithfully send each year. Mexico now realizes our government has allowed us to become a huge human refuse dump. And, they will gladly continue to send their discards. If anyone actually believes these Mexican reprobates will somehow become fully-assimilated, contributing members of American society, they are either extremely naive or utterly delusional. The ONLY reason Mexico is building a wall on its southern border is to prevent its neighbors from reaching the United States. After all, Mexico has become the gateway to the Promised Land. They don’t want any other country to have the ability to compete against their horde of illiterate peasants fleecing the taxpayers of this country. They alone, deserve this prize.